We are Store.FlightSim.Com, your flightsim store. We are operated by the FlightSim.Com staff. This flightsim store opened in 2018, but parent site FlightSim.Com has been around since 1996. FlightSim.Com is the oldest full-featured community serving the flight simulator community. I’m New, How Do I Get Started? You first need to choose a flight simulator. Microsoft FSX may be the most popular but it’s been around since 2006. 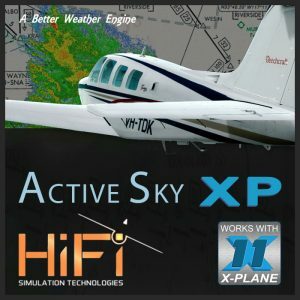 X-Plane is a great choice, with a good company behind it and regular updates. Prepar3D is a relative of FSX and is published by Lockheed Martin. Certain restrictions apply as to who can use P3D. Some people are still using Microsoft FS2004 which came out late in 2003 but it’s not a good choice for someone starting new. There are also other options like the open source flight simulator FlightGear. Be careful! There are also products advertised with lots of hype as being the best sim ever. These usually are just old versions of FlightGear that have been deceptively packaged. Search is the best way to find something if you know what you are looking for. This is just as true at this flightsim store as it is anywhere else on the net. If you just have a general idea or want to browse we encourage that. Browse through available products using the menu. First select the simulator you are using, then the category and subcategory as appropriate. Then you can see all related products in that category. Microsoft release the original Flight Simulator X in 2006, followed by several service packs. A few years later, Microsoft decided to get out of the simulator business. Dovetail Games now holds the rights to publish FSX. To purchase FSX new, you now need to get it from Steam. Steam is an online software distribution platform used by many entertainment publishers. The features of FSX and FSX: Steam Edition are essentially the same. The directory structure is somewhat different though, so products with automatic installers must know which version they are installing to. Make sure you know which version you have and choose only products that are compatible with that version. Icons in our product listings indicate compatibility. When selecting a product for use with Prepar3D you must be careful to ensure that the product is suitable for the Prepar3D version that you are running. This is especially true of the 64 bit version (v4+) versus the earlier 32 bit versions (v1, v2, v3). We display compatibility icons with every product so much sure to check these as well as the product listing. If you are unsure, ask first before purchasing.